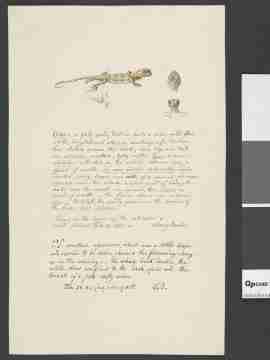 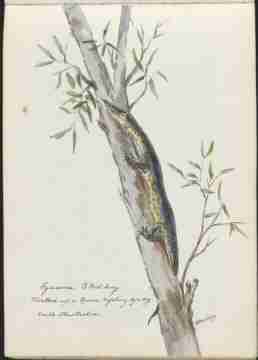 Study of a chameleon, grasping a branch in leaf with fore-claws and tail. 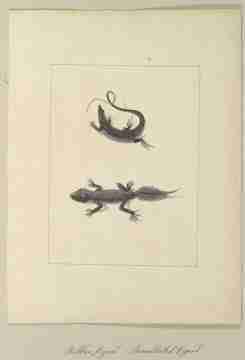 The branch bears an inscription in: " Hanc chamaeleonsis AEgyptiaci Iconem Delineabat R.Waller ad vivumquem possidebat Not. 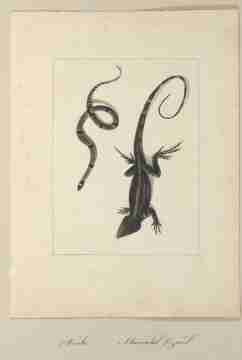 R.Boyl. 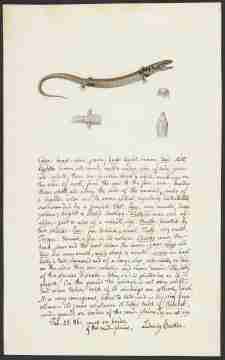 Nov: 1686." 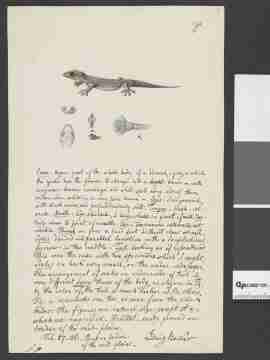 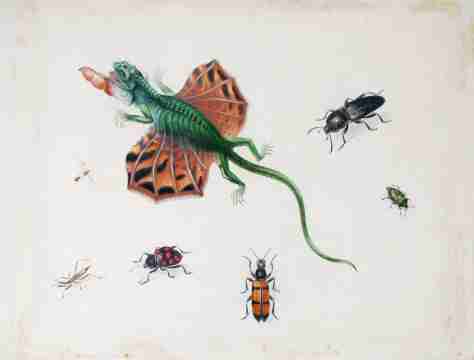 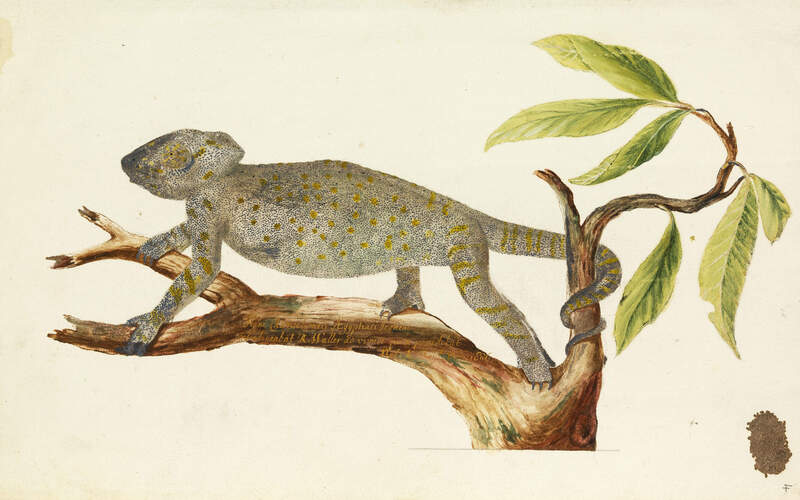 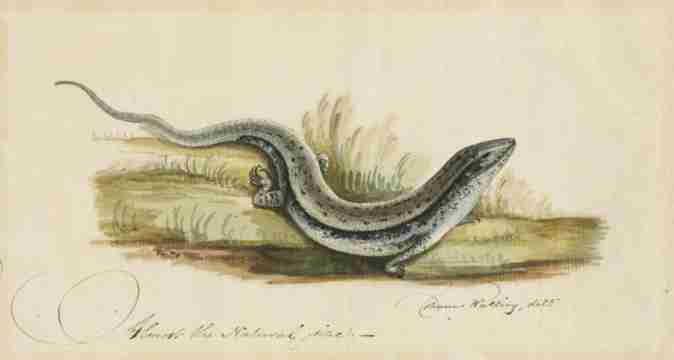 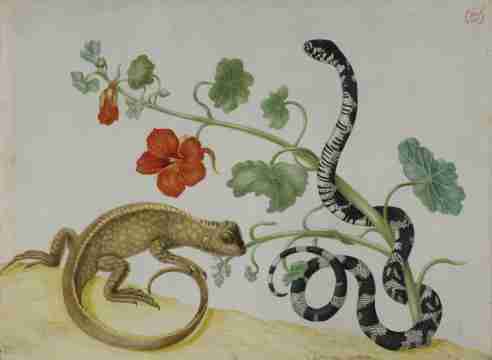 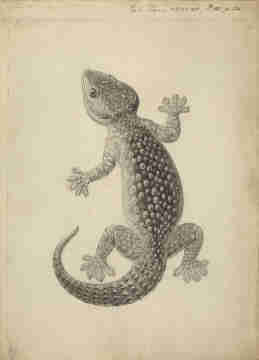 [Richard Waller drew the image of the Egyptian Chameleon from the life which the Honorable Robert Boyle kept, November 1686].